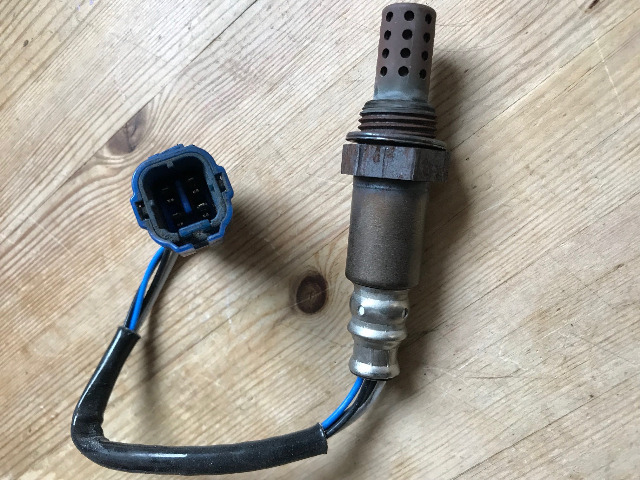 Thanks to another BigJimny member, I found a replacement O2 sensor for reasonable money from Sparkplugs UK which I fitted today. I'm not yet sure if this is the offending article that keeps putting my eng' management light on, but it's a start. Fitting it req'd a Lambda socket which luckily I already had, but which can be found in places such as Halfrauds for a small fee. I was worried about loosening the old one. 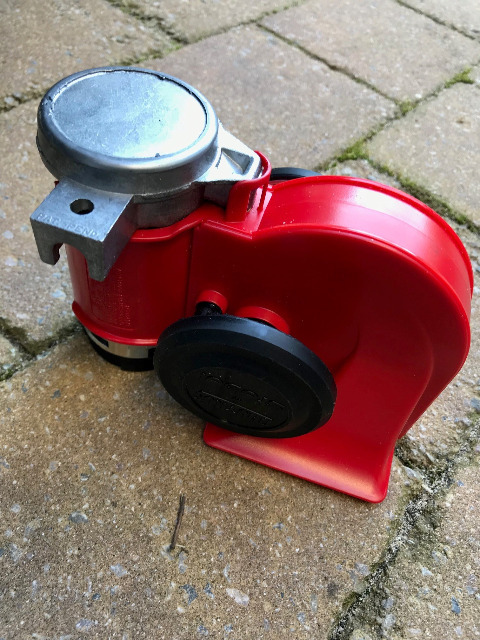 but it gave up easily when I put a spanner on the hex at the top of the socket and gave it a small but firm clout with a lead-shot-filled hammer. Last edit: 01 Mar 2019 14:51 by Max Headroom. Not today, but just spent the week exploring the Scottish borders in our little Jimny. It did everything perfectly, munching the miles on the M6 at 60mph (it will go faster, I choose not to), and then roaming the single tracks in the borders. It was even T-Shirt sunny with breathtaking scenery, great week. Average mpg for the 1200 miles was 41.8 mpg, not too bad. Last edit: 01 Mar 2019 21:44 by Scimike. 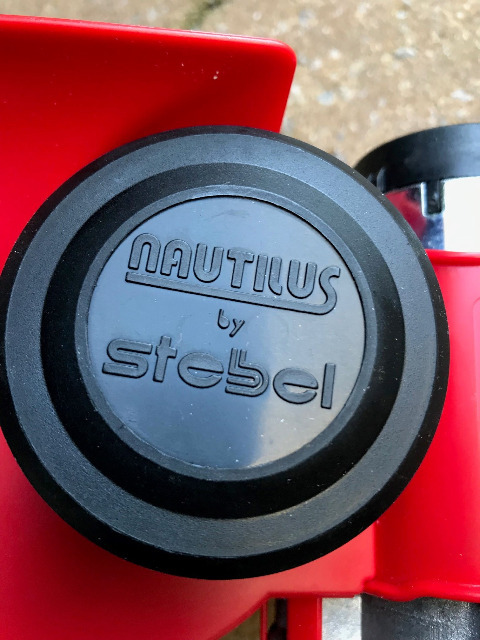 A break in the weather when actually I'm off-shift - so today I fitted a Stebel Nautilus horn that I've been trying to get on the car for ages. Instead of the somewhat embarrassing "peep" sound of the original, this thing is quite capable of blowing offending motorists out of the way! Last edit: 14 Mar 2019 15:41 by Max Headroom. I like that, sounds loud just looking at it. They are good aren't they? I thought it sounded pretty good from inside the car. Then my Jimny owning neighbour popped round to see it when she heard it from inside her house. I'm also thinking of fitting a Durite Klaxon Durite 0-642-01 for a bit of fun. Last edit: 14 Mar 2019 21:22 by Max Headroom. I like the look of that horn, where did you buy it from out of interest? 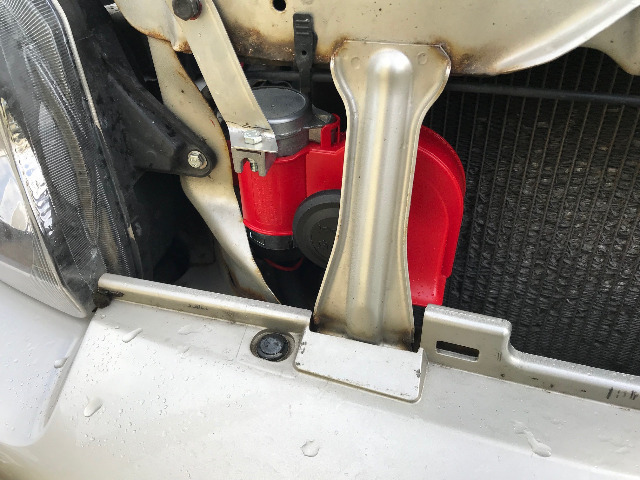 So having spotted this issue last week, I decided to order some nice new +4" springs and the castor corrected HD arms with rubber bushes fitted for them from the ever helpful James Priestly. Rubber bushes were JP's suggestion for a more comfy ride (was on super-pro and good but harder). On with the fronts and out for a test drive, all is so much better. The vague steering is much better. Tracking (toe in) was miles out so have set it roughly, and need to get a garage to fine tune it next weekend (and get the balance beads into the tyres). Overall a good, if expensive, result. Rear is to do next saturday unless i get time in the week. Those springs are terrifying! Did they not make any alarming noises breaking up? I spent the day fitting the factory mudflaps (front and rear) as well as the factory door mouldings to my Gen 4 SZ4. 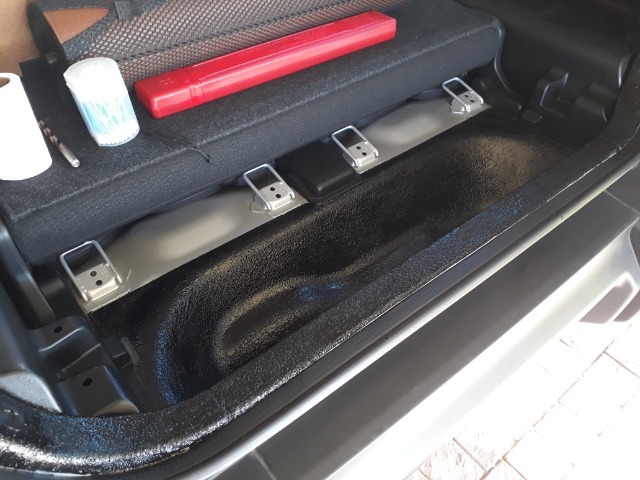 I then also used a DIY brush-on bin-liner I picked up to coat the rear door sill as a test because I have noticed a few small / light scratches from throwing surf gear, boards and dogs in and out. Whilst I was doing it, I coated the tool cavity because I always have wet and salty stuff back there and I had a bit of beach sand collecting under the tools. I will see how this holds up, and potentially do a couple of coats on my door sills and perhaps my wheel arches as well. In my case it's as always, eBay!